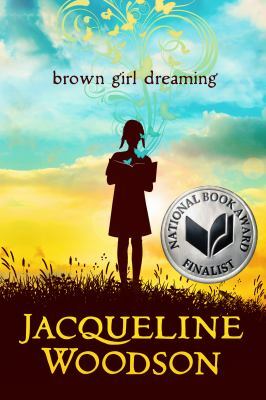 This morning it was announced that Brown Girl Dreaming by Jacqueline Woodson won the 2014 National Book Award for Young People’s Literature. This beautiful, emotional read was a fantastic choice that will stand tall next to previous winners like Katerine Erskine’s 2010 winner, Mockingbird and last year’s winner, The Thing About Luck by Cynthia Kadohata. Woodson’s autobiographical book in verse tells the story of an African-American girl growing up split between the south and the north during a time of great change. Displaying the best of her powerful storytelling skills, Brown Girl Dreaming is as likely to make the reader think as feel. Passages examining her challenges with reading are made more powerful by her discovery of books that featured people that looked like her. At a time when the children’s book world is protesting the dearth of diverse literature for children, Woodson makes the best argument I’ve read for why it is important it is for kids to find themselves in what they read. But like any great children’s book, I would recommend this to adults as well as kids. Woodson is a brilliant writer who finds beauty in pain and hope in hopelessness. She never shies away from complicated topics or speaking a tough truth. Adults will find comfort in her charming voice, while still examining their own childhoods and beliefs. Recommended for 4th grade and up, this book will easily appeal to longtime fans and readers new to Woodson’s work. Are wordless books intimidating to you? If so, you’re not alone! But they are fantastic tools for building language and literacy skills. Mel’s Desk has a great rundown of the importance of including wordless books in your family’s reading. This NPR interview with author, Jacqueline Woodson about her newest book, Brown Girl Dreaming, is a wonderful listen or read. Speaking of Brown Girl Dreaming, it made the long list for the National Book Award, along with two John Corey Whaley’s second novel, Noggin. Do you have a favorite on this list? We probably all think that someone in our family is the favorite child to one or both of our parents. A study in August’s Journal of Family Psychology found that children’s perceptions of favoritism counted a lot more than the reality. With Halloween just around the corner, we’re scowering the internet looking for costume ideas. We love this list of cute homemade costumes for kids. The New York Public Library made a great list of books about failure and mistakes. We love encouraging kids to try things, even if it might not work out as they planned, and these books will go far in teaching that. We’d like to add a personal favorite — The Most Magnificent Thing by Ashley Spires — to that list. 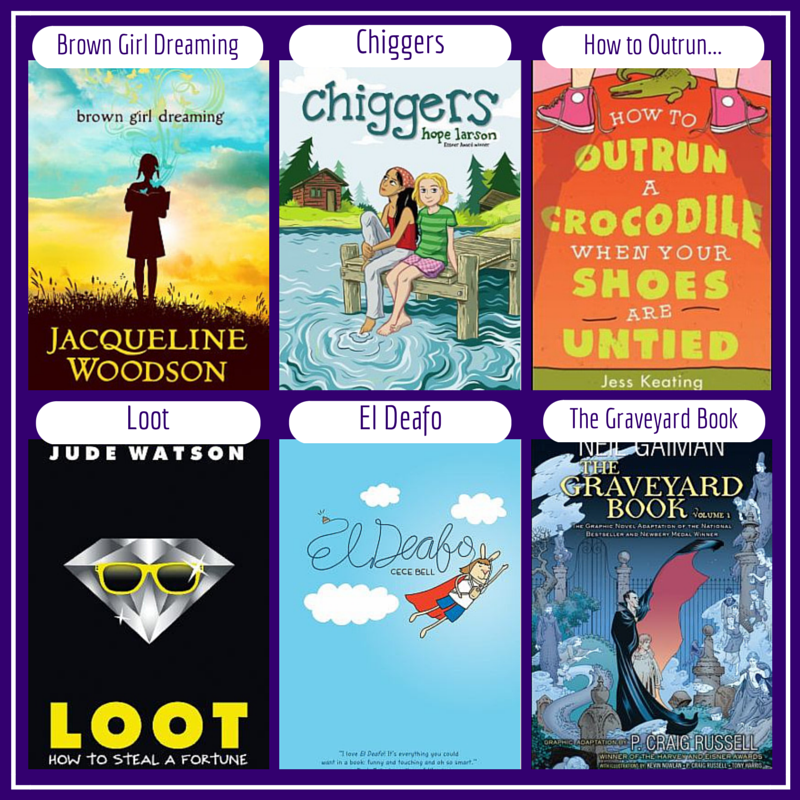 We’ve had some great new middle grade books make an appearance at the library the last few weeks that we can’t wait for you to check out. This week we want to introduce you to 6 of them and suggest some of our favorites to pair with these fun new reads!